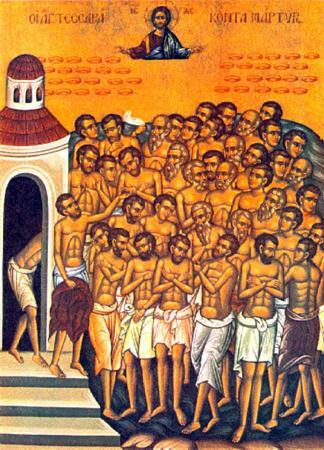 The Restoration of the Temple of the 40 Martyrs is celebrated on this day. At Tsar'grad two churches were built to them: one, by the emperor Anastasias I (491-518), and the other, by the emperor Tiberius (578-582). For this feastday is known a service in the Greek Meneion of the XIII Century.